 Dayton Ohio is affordable, but how much home can you afford? The better question is: How much to you feel comfortable paying? If you were not aware of the dangers of buying more house than you could afford prior to 2007, you are certainly painfully aware of it now. So before you begin to seriously shop for a home, take a brutally hard look at your finances- your income, debts, and expenses. Don’t forget the gov’mint. They are going to take their share in property taxes- typically up to 2% of assessed value. 15- and 30-year fixed-rate mortgages are the language of common sense. Safer than an adjustable for most of us and only movie stars get interest only loans- you aren’t a superstar, are you? No. I didn’t think so. Ouch. I know that one’s gonna hurt, but, if you can put 20% down, you can skip the private mortgage insurance (PMI). You’ll save in the long run, and Granny would be proud. Find a lender who will answer your questions, or contact me, Teri@TheBrickRanch.com and I’ll send you the names of lenders who I know will answer your questions, and educate you in the process- now that’s something Granny didn’t have, but she would approve.